So happy for Missy Elliott! :o) I just realised that I have not posted this on my main blog, so for those who are not aware, Missy posted this on Christmas Day :o) What an amazing gift to find after so many years. 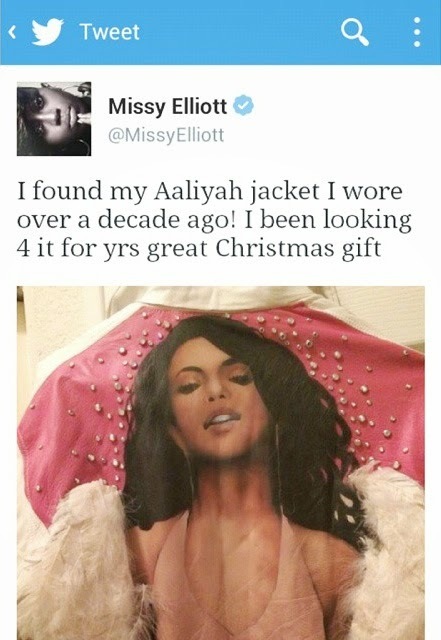 So glad she found this iconic jacket.